Originally this image was developed to promote events for Sparta Cycling Inc. and its owner, cycling legend, John Eustice. It has, however, taken on a life of its own in a series of four pieces. 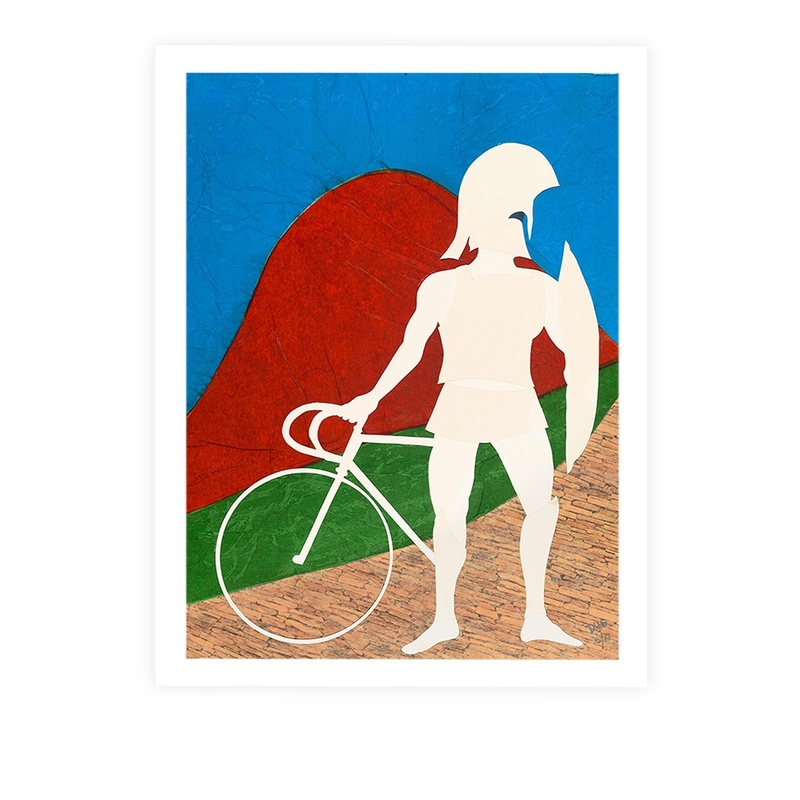 Bike Warrior represents both the label of “Road Warrior” used often by British and continental cycling journalists as well as the Spartan lives racing cyclists must lead in order to be competitive. Original art is 18″x24″ Paper, urethane, collage on birch laminate board.